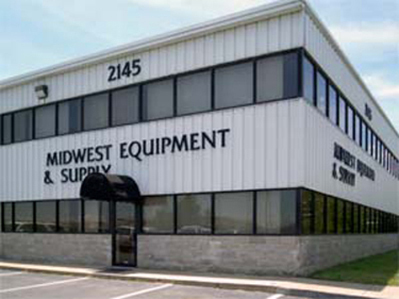 Midwest Equipment & Supply Co., Inc. is a premier wholesale supplier to outdoor power equipment retailers in the states of Indiana, Illinois, Kentucky, & Missouri. We distribute premium outdoor power equipment for commercial lawn maintenance, landscape, rental and construction businesses. We also provide a complete line of replacement parts for the products we sell and back up our products with factory-trained technical service, customer service, and warranty personnel. Midwest Equipment expands our premium equipment manufacturer's market share by partnering with quality servicing outdoor power equipment dealerships. Whether you have a question about the products we sell, need to know where to find your local dealer, or even how to become a dealer, contact us. Our knowledgeable staff can answer any question you may have. We provide only products with the highest quality and value to our dealer base. Our goal is to offer the most profitable, highest quality products as well as the most comprehensive product training to ensure the success of our dealers. Our dealers have the opportunity to receive industry leading product training to provide their customers with the best possible sales and service experience. Each member of the MWE team also goes through the same extensive training in order to better help our dealers. Interested in a brand we carry? Want to find an authorized dealer that carries a particular brand? Simply click on the brand logo to find out more or find your local dealer.